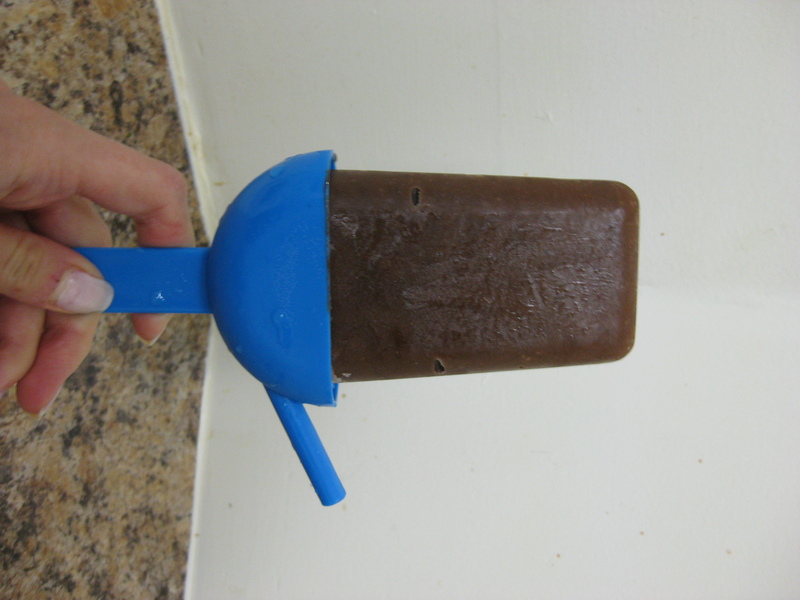 In honor of his love of all things protein I decided to make a very special protein rich chocolate pudding popsicle. Before judging, let me have a second to explain myself. I needed to give the little ice cream maker a break; it’s been working overtime these past few weeks. Plus, I recently bought these adorable popsicle molds and they’ve been feeling rather neglected. 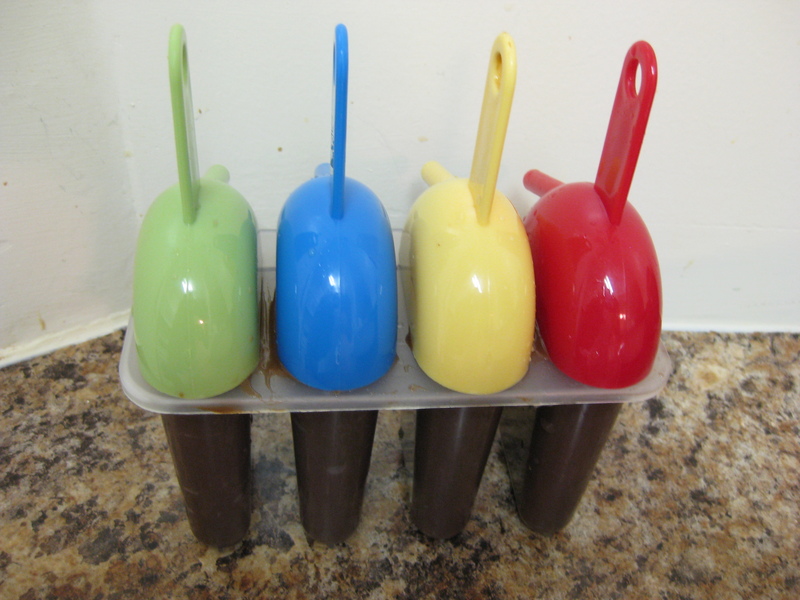 So, I took them off my shelf, dusted them off, and decided to make chocolate pudding pops. I’m sure you all remember the delicious Jello Pudding Pops from our childhood. These are quite similar but a more “grown up” version now that they’re filled with whey protein. A bit about this protein. I originally refused to have any of this whey in our apartment, it’s unnecessary, a waste of money, and more importantly, filled with sometimes dangerous ingredients (such as aluminum!) But, upon further discussion with the salesman at Whole Foods, I decided that the only whey protein I’ll allow in our apartment is the natural brand – in other words, the 365Whole Foods version that’s void of unnecessary additives, and is really only just whey protein powder. Truth be told, the vanilla flavor is really quite delicious, and makes drinks and shakes taste like they are filled with malted milk. Yummers. Adapted from the Jello Pudding recipe, but doctored up by me! 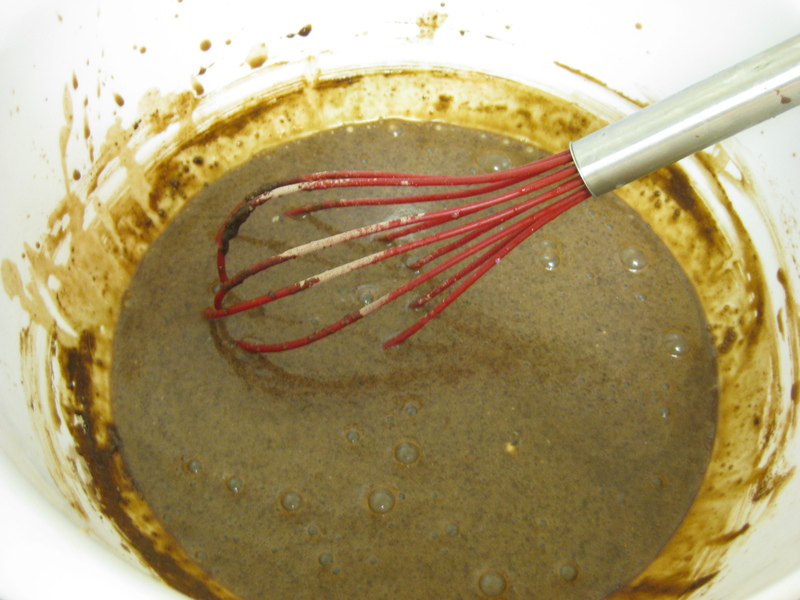 Whisk the milk, pudding mixture and vanilla protein together for 2 minutes, stirring thoroughly until well dissolved. You’ll notice that the pudding is starting to get thicker as you stir. Once the mixture is well combined, scoop 1/4 cup of the “protein rich pudding” into the 4 popsicle molds and put in the freezer for at least 5 hours. You will have enough left over to make one more popsicle, so either put it in the fridge to enjoy as pudding (or as breakfast the next day, which I did!) or make another makeshift popsicle mold and freeze away. A word to the wise: When removing these popsicles from the freezer you must run them under hot water for approximately 20 seconds. If you try and remove a popsicle straight from the freezer, the popsicle will stay in the mold and the handle will come off in your hand. Fail. A second word to the wise: If you don’t have your own popsicle molds -no need to run out and buy them – you can make them yourself. 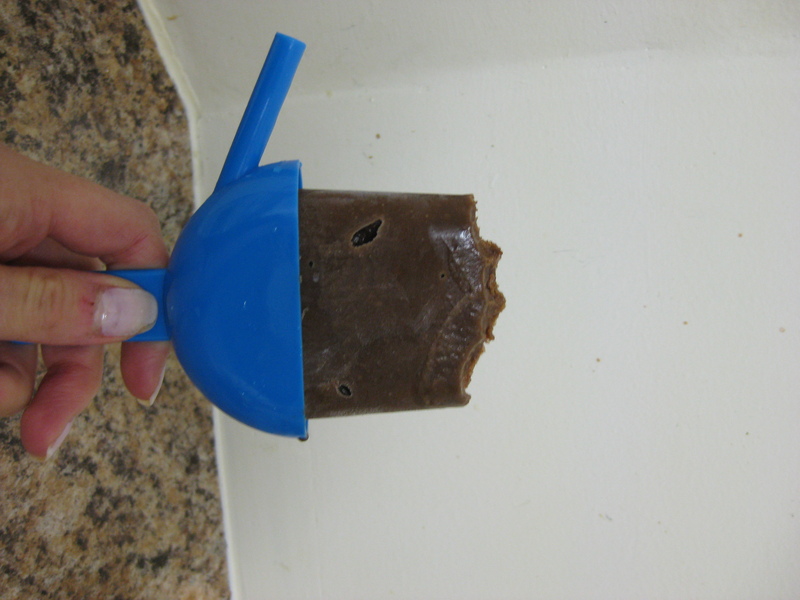 Fill a 6 oz paper cup (or a dixie cup) with 1/4 cup pudding mixture, put in a popsicle stick and freeze away! When you’re ready to eat, tear away the paper cup and viola, you have your very own home-made pops! The Verdict: The Husband has been eating them for breakfast (I don’t know where he gets that from!) and/or for an after-gym-before-dinner snack. So, all in, this was a good, super quick semi-homemade recipe. If you ask me, it was a little processed tasting (it is, after all, pudding mixture) but otherwise yummy. You cannot taste the protein at all, and each pop is loaded with approximately 8 additional grams of protein. Pretty good if you ask me!